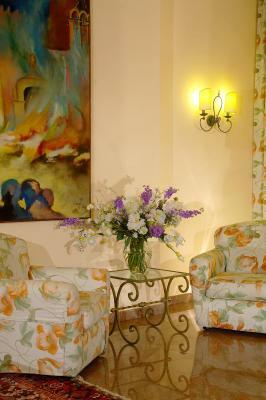 Lock in a great price for Hotel Isabella – rated 8.1 by recent guests! 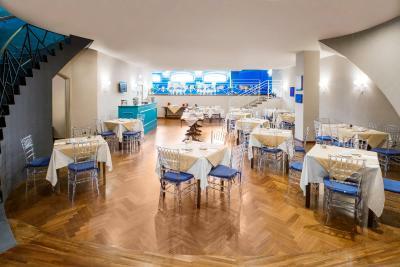 Location was excellent right on Corso Umberto! 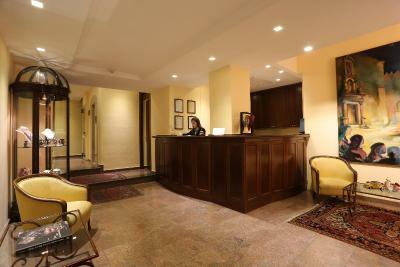 Helpful and sweet front desk and breakfast staff. Our second time staying here and would do so again. The location of the hotel was brilliant. Everything was so close by. Pleased we upgraded our room to a sea view even though the balcony is shared. The staff were friendly and helpful. staff was helpful. 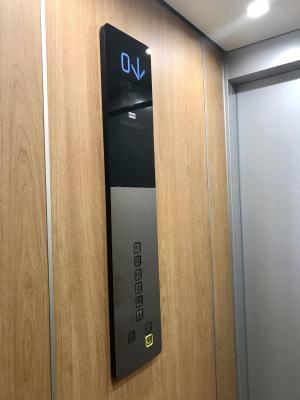 they were doing some major renovations to the elevator so it was not operating our entire stay. 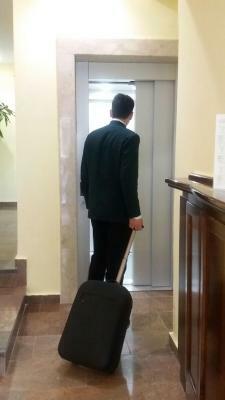 They offered to carry our bags up to our second floor room (two full flights of stairs). We had an issue with teenagers congregating in a room next to ours, playing music and just being kids. Just before midnight we called the front desk and they promptly broke up the party. 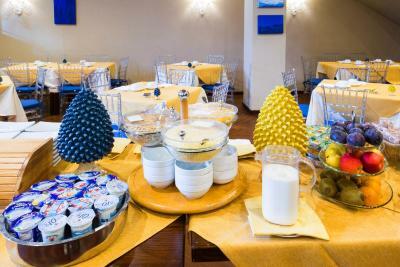 Clean , great staff , nice breakfast and perfect location. 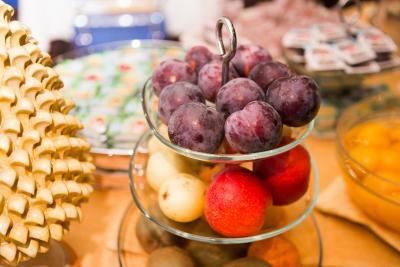 In addition to a GREAT breakfast, the brother and sister were very polite and accommodating. Staff was helpful for directions and getting taxi service. The location is great once you park your car which is no easy task. 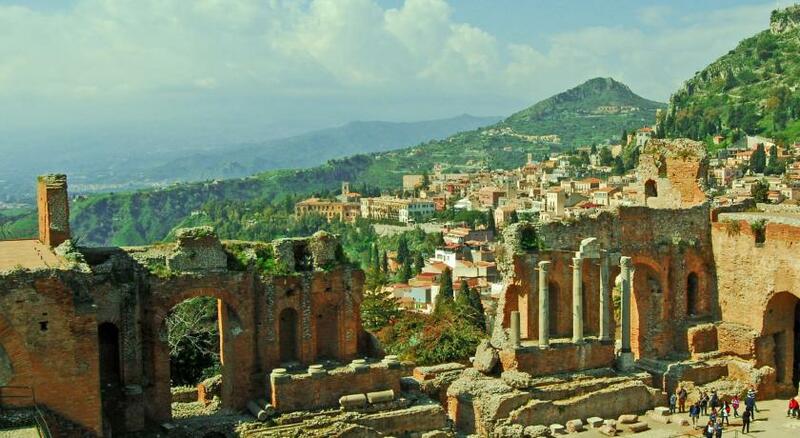 It's right in the historic area of Taormina. Perfect location! The roof terrace was amazing!! The staff was extremely nice and always kind. I would stay at this hotel again. 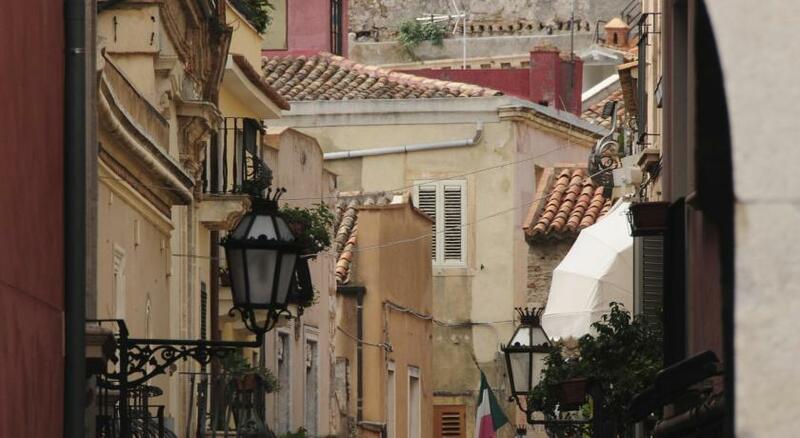 You will not find a better location if your looking to stay in city center. Awesome views from our balcony, and we were only on the 3rd floor. Air conditioning worked great. 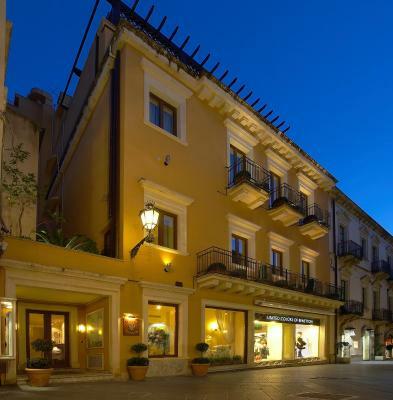 The hotel is right in the middle of the main street in Taormina in a very bustling area, but our room was quiet with the windows closed. 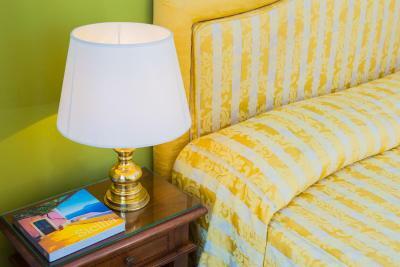 Facilities were clean and room was comfortable. Included breakfast was very good with a lot of variety. 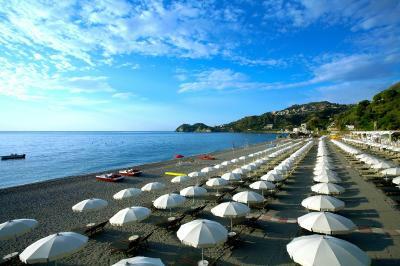 The hotel is up in the shopping area of Taormina, but you can take a shuttle to the parking lot and a funicular down to the beach. Pretty hotel in a great location. Nice staff. Balcony room is spacious. Breakfast was good. 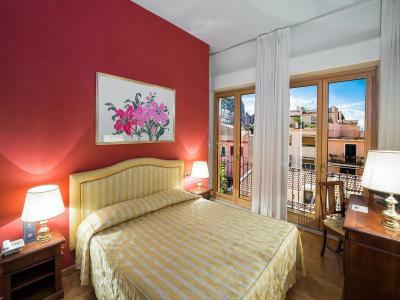 Hotel Isabella This rating is a reflection of how the property compares to the industry standard when it comes to price, facilities and services available. It's based on a self-evaluation by the property. Use this rating to help choose your stay! 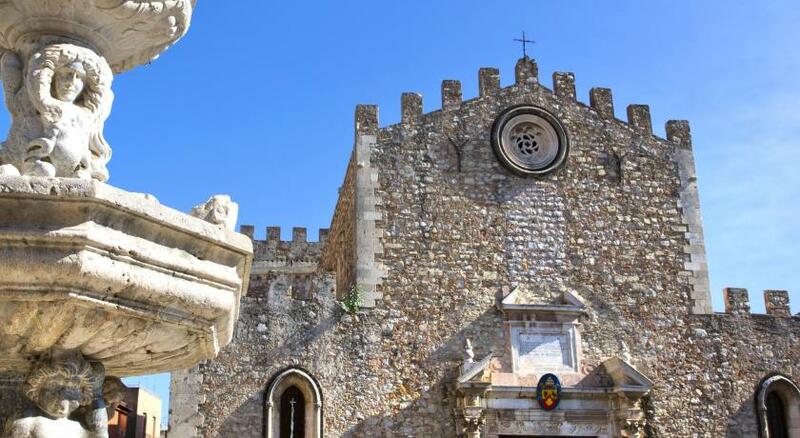 The Isabella is in the center of Corso Umberto, Taormina's main shopping street, 650 feet from the Greek Amphitheater. 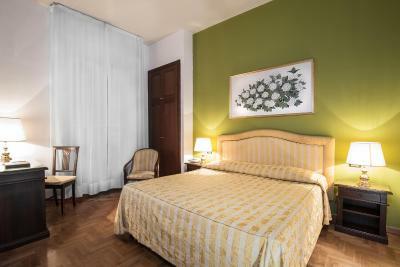 All rooms offer air conditioning and elegant parquet floors. 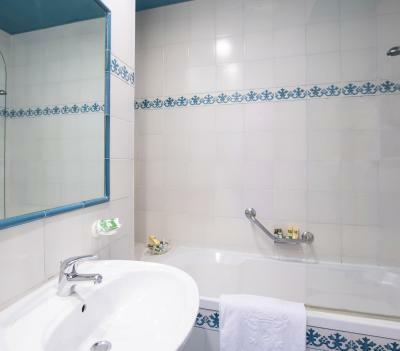 Hotel Isabella's rooms come with a private bathroom, a mini-bar and views of the surrounding rooftops, Corso Umberto shopping street or the Ionian Sea. 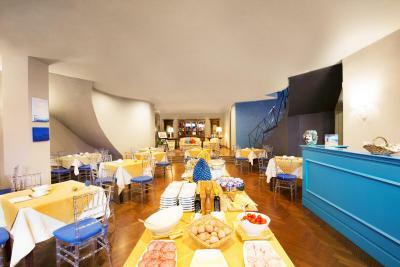 The breakfast room features remains of the city's ancient Roman walls. 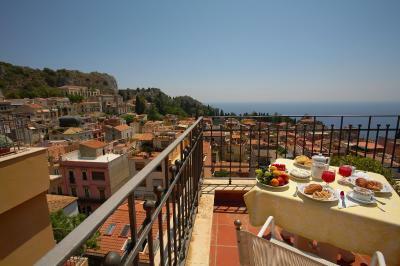 In the summer and weather permitting, breakfast is served on the roof terrace, which overlooks the nearby ancient theater. 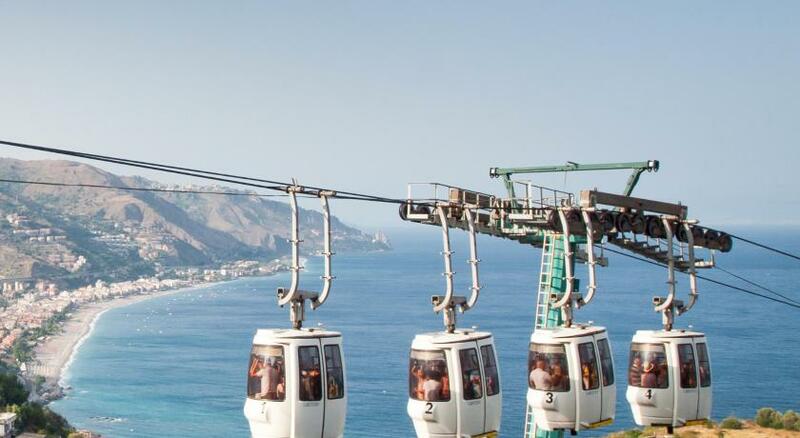 The hotel provides a shuttle service to/from Caparena Beach, 1.9 mi away. 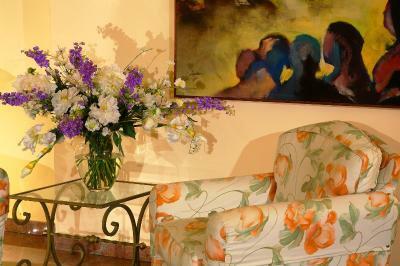 Guests also enjoy a discount at wellness facilities in nearby sister hotels. 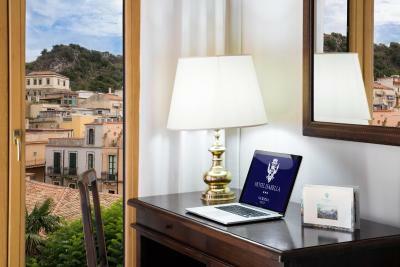 When would you like to stay at Hotel Isabella? 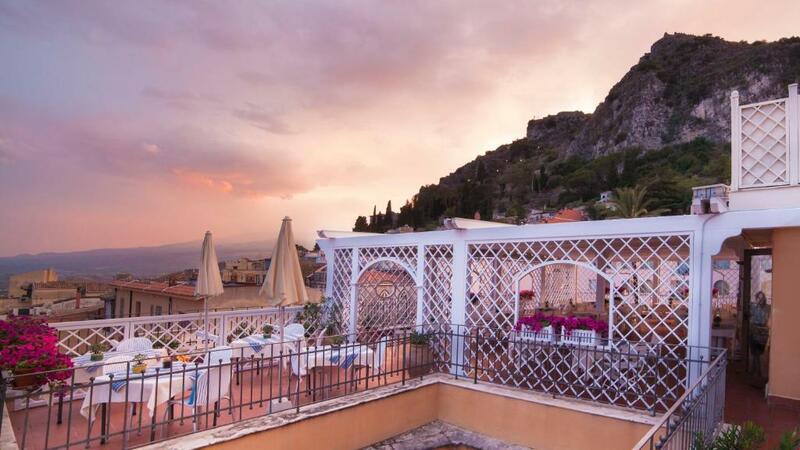 With views across Taormina's historical rooftops, this air-conditioned room has parquet floors, a mini-bar and a private bathroom. 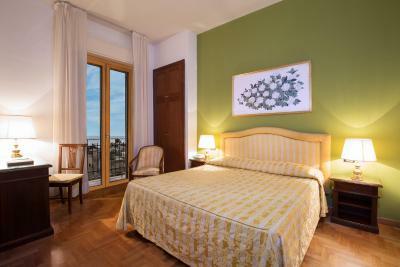 This air-conditioned room features a balcony, parquet floors and a mini-bar. 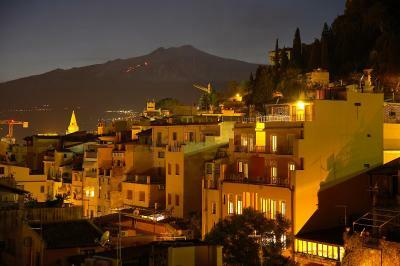 With a setting under Mount Etna, Taormina's old town features some dramatic views over the rolling hillside below. 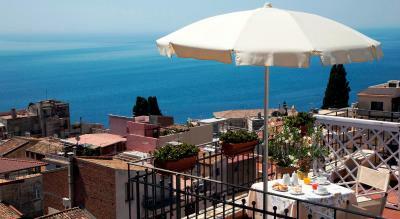 The highlight is its Greek amphitheater that sits serenely overlooking the sea. House Rules Hotel Isabella takes special requests – add in the next step! 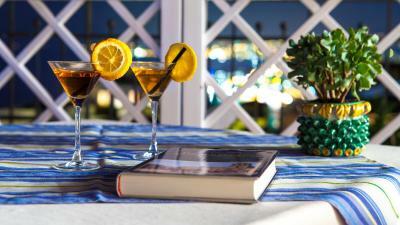 Hotel Isabella accepts these cards and reserves the right to temporarily hold an amount prior to arrival. Please note, the beach shuttle runs from May to September. One of the most picturesque neighborhoods in Taormina! The shower was quite small and the bathroom had a funny smell. The property does not state that you cannot drive your car to the property or park your car anywhere near the hotel. Your car must be parked in public parking garages around the town The hotel is located on a very busy tourist thoroughfare and driving up to the town itself is very very challenging. The Staff were all excellent, really welcoming and with a wealth of knowledge that we found so very helpful. They could not have been more helpful and they made our stay perfect. The link to a hotel on the beach provided loungers on a private beach for free and a very reasonably priced shuttle bus that was all prebookable each day. This was a much appreciated bonus. The location was perfect, very central, yet very quiet. Could not have asked for more. 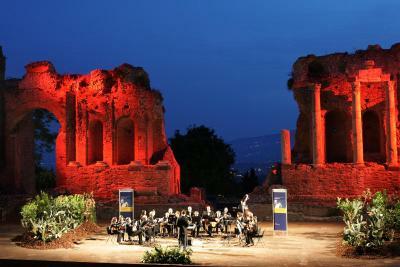 good hotel and very close to Teatro Antico where we had attended a concert! Very central location and panoramic roof terrace. Staff very helpful and always smiling. 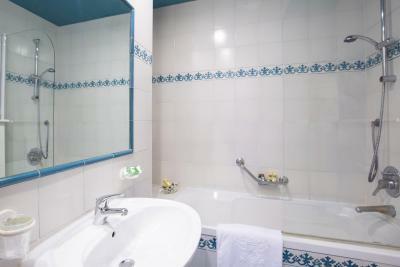 Size of rooms Quality of cleaning Presentation Quality of bathroom fittings Towels Toiletries No parking facilities. We should checked this ourselves. Parking is vital, alternatively, you park in public car park and get courtesy bus, then walk to hotel, which with suitcases is difficult. Generally we were very dissapointed with the hotel with broken shower hose and toilet seat and the worse hairs in the bidet, which suggests poor cleaning. Finally I the breakfast was very poor, little choice and poor quality. 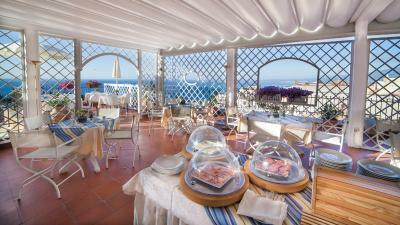 The terrace, where the breakfast was served had lovely views, but the local pigeons knew where the breakfast was served and were able to walk amongst the buffett selection tables which was the final straw for us in terms of hygiene. Toamina is beautiful and we will visit again, but not using this hotel. 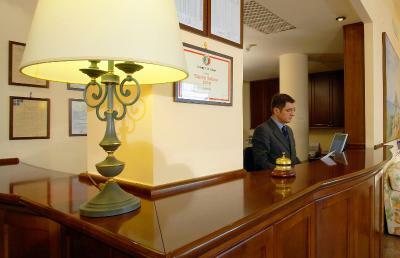 The location in very central and the staff were helpfull. I regret these are the hotel's only features. Hotel Isabella was fantastic. 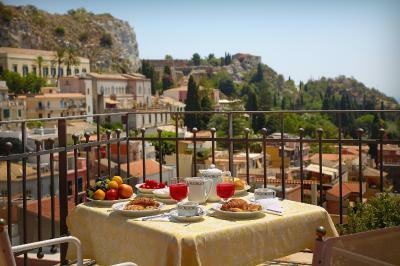 Lovely room with terrace and a great breakfast on the rooftop terrace in the morning. Lovely staff at reception and breakfast.